A chef’s key principle is to create what restores life and vigor; FOOD. 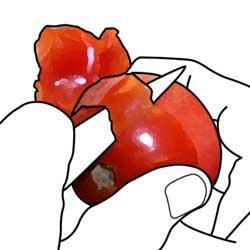 The portrait shown is the most important tool known to a food worker. However, the artist in this work tries to depict the contrary of “restoring” (life). More than any other artist, Andy Warhol is known for elevating the images and objects of ordinary life into artifacts of a collective consciousness. 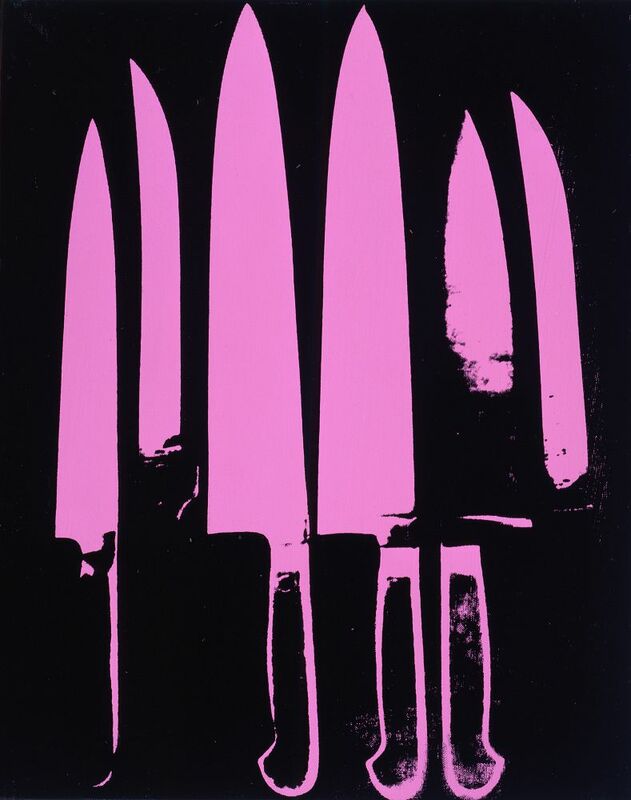 In the early 1980s Warhol produced a series of paintings separately depicting guns and knives. Critic Robert Rosenblum expressed that such works reflected the dark side of Warhol's mirror of America: "while creating an inventory of superstars, (such as Marilyn Monroe, etc.) and supermarket favorites (canned soups), Warhol also compiled an anthology of violence and death the American way, from car crashes and race riots to the electric chair itself". This art print was created using a sophisticated digital printer. The Giclee printing process delivers a fine stream of ink on archival paper, resulting in vivid, pure color and exceptional detail.